Thirsty Ear's Blue Series...has carved a niche for themselves as instantly recognizable as '60s Blue Note or '70s ECM. In 1986, when my friend Ray Dobbins suggested we call our new band “The Jazz Passengers,” I thought, "that's kinda funny!" The name felt like a clever take on the alpha nature of the great iconic names: The Jazz Messengers and The Jazz Crusaders. 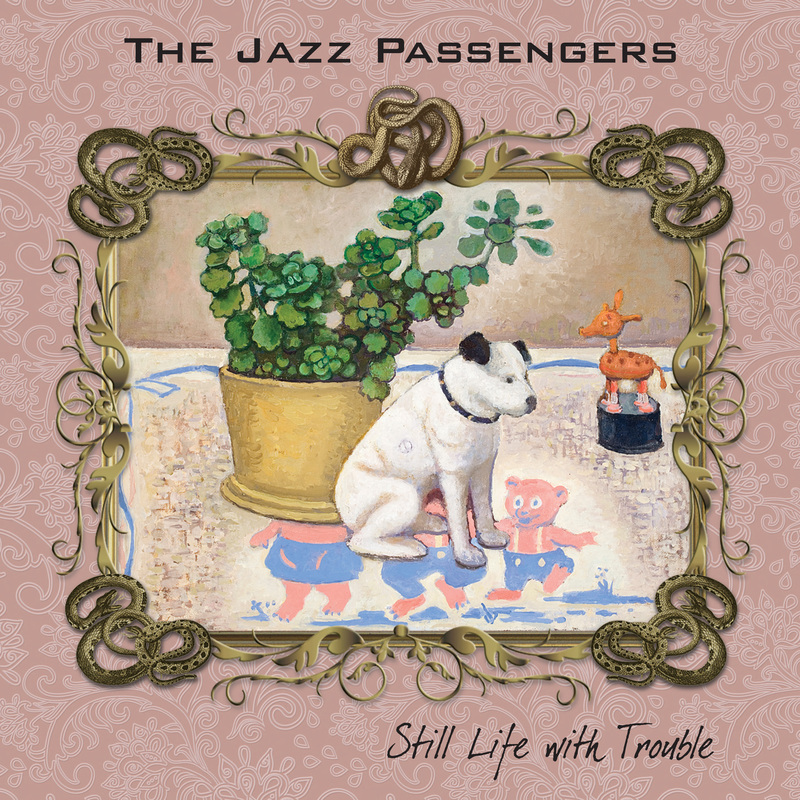 The self-deprecating irony of the term “The Jazz Passengers” seemed about right for our eclectic crew. The Fire at Keaton’s Bar and Grille, 2000 (the song cycle about a mythical bar with loads of mythical guests), The Rock Concert, 2005 (commissioned by the University of Wisconsin Science Museum to contextualize their discovery of the world’s oldest piece of geological material), You’re the Fool, 2003, (my semi-autobiographical Radio play for NPR), Jazz Passengers in Egypt (our own 1990 Marxist – as in the brothers - musical comedy featuring members of the downtown Ridiculous Theatre community), and tons of our live performances from 1987 to today. Seeing all this work – all these crazy solos and stories, jokes and nuts arrangements was something of an epiphany. What struck me most was how the work sung of community, shared language, the weight of a collective life’s work. It is in that spirit we carved out time in these last 2 years to work on this 30th Anniversary CD, “Still Life With Trouble”. Thankfully, deep into our late 50’s and mid 60’s we’ve managed to record a CD that is a pure representation of this very particular Passengers language. It contains nine musical stories about trouble and the passage of time that describe a Still Life of odd birds native to these parts whose calls employ a variety of pitches, words, harmonies and rhythms that collectively translate into the following sentence: If there’s still life, there’s certainly still trouble! With the help of our longtime producer/engineer/friend Hugo Dwyer these 9 tracks represent a new path in the Passengers journey. The original members of the band, Curtis Fowlkes (who started the JPs with me while playing for dancing elephants in the Big Apple Circus), Bill Ware, Brad Jones, EJ Rodriguez and myself are supplemented here with newish (last 10 years) violinist Sam Bardfeld and a second drummer, the wonderful Ben Perowsky. Original member Marc Ribot plays on one track. After years of trying other guitarists in Marc’s absence, we finally found a different way to broaden the band’s palette in this recording by adding Ben as a second drummer. This new CD finds inspiration in the intuitive abandon that characterized our first two CDs recorded in the late 1980s. “Paris,” which opens this recording, is a blues dedication to the great city whose beleaguered banlieus has been a home to our band through the wonderful Banlieus Bleus Jazz Festival. “Everybody Plays the Fool” is a rearrangement of the great R and B classic. I was always so touched by the first verse when Cuba Gooding of the Main Ingredient asks, "I hear you're even thinkin' about dyin’ / but before you do anything rash / dig this!". Such a thing to say in a pop tune! I thought we should try to make our sense of that. The 7th song “We’re All Jews” references Lenny Bruce’s perfect description of New Yorkers. True, no? The last 2 tunes are by Bill Ware whose vibes and arrangements have provided a whole lot of sheen on all of our work. Bill claims that the first of the two, “Friends”, was given to him in a dream by Louis Armstrong, and who am I to quibble? The last tune, “Spring Flowers” celebrates the miracle of chemical enhancement. Simply put, I’d like to share the joy and enthusiasm I feel about this CD - and about being a passenger on this 30 year ride with these very special odd musicians - and to offer you a seat. Marc Ribot – Guitar on Wake Up, Again!